Weight loss is now 33! I am at my halfway point to 210! 28 down…… 28 to go! Still on track! Weight loss is now 23 pounds….22 more to go. Still ony diet. 13 lbs down 27 to go! 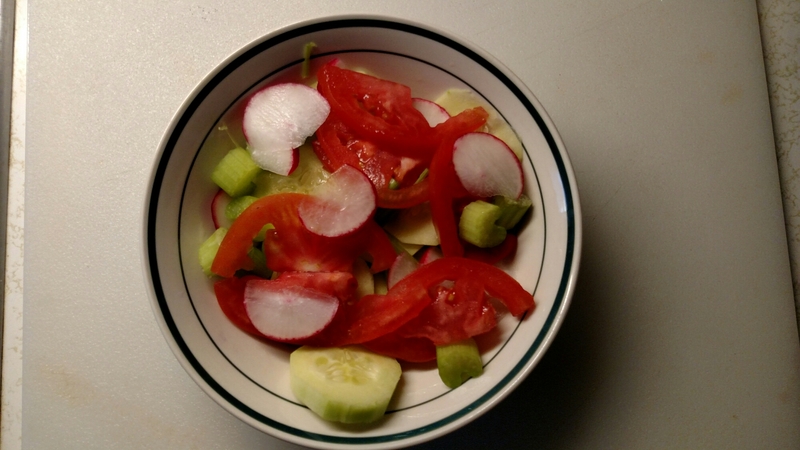 Dinner is a nice cucumber salad with radish, celery and tomatoes. Add a tablespoon of oil and lemon juice and its good to go! 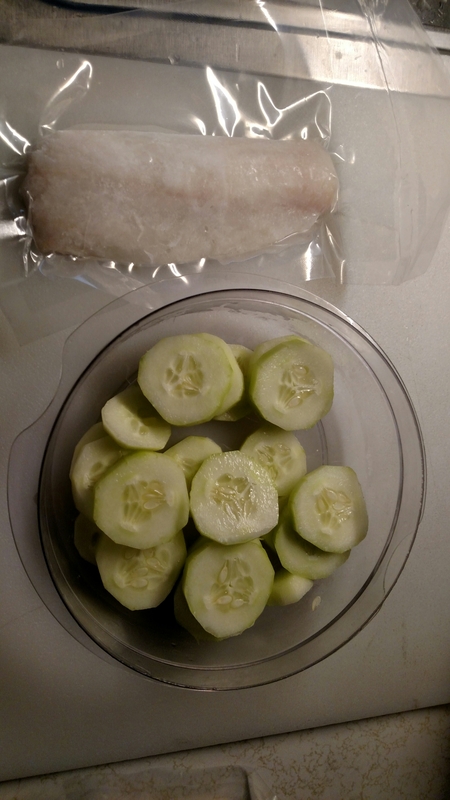 Baking a 6 oz cod fillet and I’m good to go!